He specializes in the treatment of heart defects in adults. Rafael Hirsch - a A leading cardiologist with over 30 years of experience and a wealth of experience in resolving the most difficult clinical cases. Currently, Dr. Hirsch charge of the service, which specializes in the treatment of congenital heart defects. Raphael Hirsch is known and recognized worldwide expert for carrying out complex operations with the use of innovative technologies and methodologies. In addition to the active practice activities Dr. Hirsch is directly involved in research aimed at understanding the Eisenmenger syndrome, deals with planning of pregnancy if the fetus congenital heart disease. in the cardiology complex Rabin center is headed by a service specializing in defects. heart in adult patients. A member of the Israeli society of Cardiology. One of the Directors of the Center of Cardiology Hospital. Chaim Sheba. He specializes in coronary insufficiency. He maintains an active research work in this industry has taught at the University, is the author of scientific articles. Engaged in research and successful treatment of ischemic heart disease, valvular disease, cardiomyopathy, heart failure. 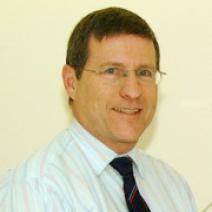 Head of the Department of Cardiac Surgery of the state of Israel's largest hospital, specializes in the surgical treatment of cardiac conditions, cardio-thoracic surgery, minimally invasive aortic valve replacement, mitral valve surgery.